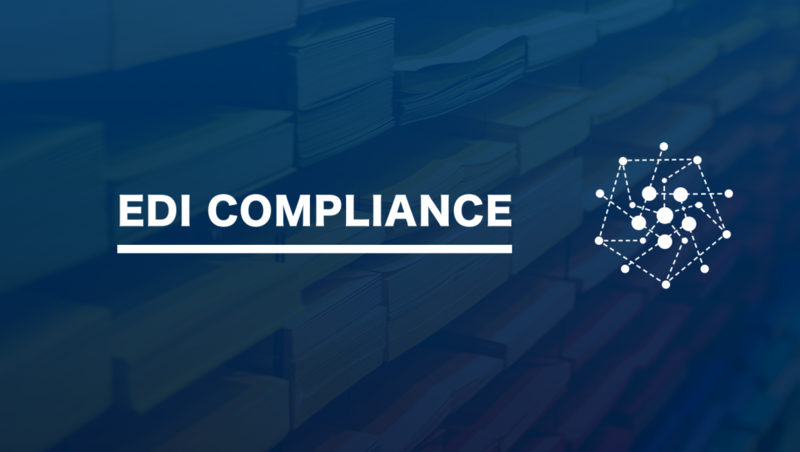 EDI compliance is adhering to the EDI standards specific to the industry or the region and the EDI practices of your trading partner. Assume that you are trading with the e-commerce giant Amazon. The retailer expects you to send all the transaction sets such as Purchase Order, Advance Ship Notification, Invoice, etc in the standard specified by them. In this case, it would be ANSI X12 EDI Standard. Amazon supports ANSI X12 versions 4010 and 5010. Even more specifically, when you send Amazon an Advanced Shipment Notification (X12 856), they expect an ARN number in the shipment notification. This is something that is unique to Amazon. Also, they expect the Advance Shipment Notification within 24 hours of actual shipment. These are some of the compliance rules set forth by your trading partner. Similarly, each trading partner that you initiate business transactions with, would have their requirements regarding EDI standards and practices which you would have to abide by. You cannot transact without issues with your trading partner if you are not EDI compliant. Did you know that not being EDI compliant is the 2nd most frequent cause of chargebacks? Business operations tend to get interrupted which would lead to monetary losses for companies. As a result, heavy financial penalties or chargebacks for the non-compliant business partner. The magnitude of issues that results from being non-compliant is vast and in most cases impact multiple businesses as they are interdependent. Necessary corrective actions involve manual intervention. As a result, this would require more labor and time. In such cases, documentation of the corrective actions fails to take place and hence, no records will be present for future references. EDI errors can be difficult to track and rectify. This is because often non-compliance originates from a lack of understanding or knowledge of the practice. A single event of non-compliance creates an error. Consequently, it has the potential to unfurl multiple other EDI errors or issues. Poor, inadequate compliance documentation and the absence of their timely update. Lack of understanding of the multiple systems in use, like the WMS, which is a vital part of the EDI ecosystem. Ignorant of industry standards and practices. Inability to get all parties to comply with EDI practices. Our methodical information gathering and documentation approach can guarantee implementation success. Our understanding of the various applications, systems in the EDI ecosystem and the workflow will help us provide you with a holistic solution. The Compliance testing process is driven by our EDI compliance checklist. We provide an error management system that identifies non-compliant data issues automatically and sends out alerts. If you are looking for an EDI partner for all your EDI compliance issues, feel free to contact us.